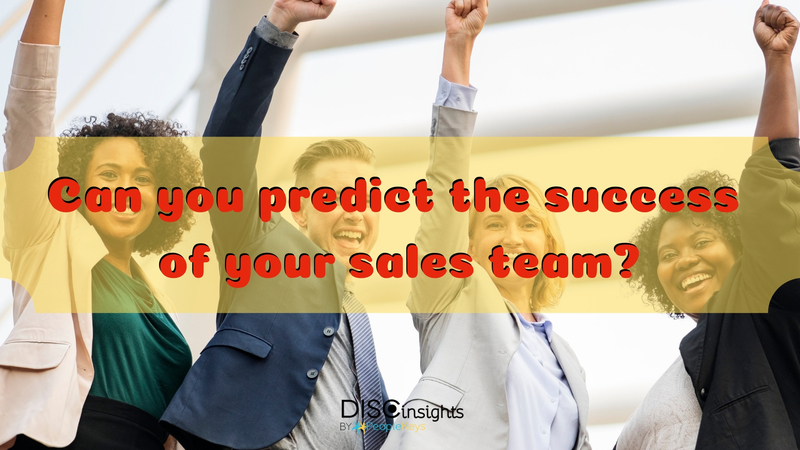 Can you predict the success of your sales team? You may be surprised but the truth is that anyone can be successful at sales and you can certainly predict a sales team’s effectiveness. It may not happen naturally or overnight… It takes is a little bit of awareness, training, and willingness to adapt to other personas. While some personalities are natural-born influencers, even the most driven sales professional will run into clients who are difficult to read and a little rough around the edges. Learning how to assess clients in pre-briefing interviews and matchmaking them with an effective salesperson is the key to healthy numbers, conversions, and long-term relationships within the corporate arena. Scouting out talent who are both flexible and poised on the customer experience will turn out some pretty decent results. Coaching, empowering and developing the sales force can then be benchmarked for improved performance, while individual sales techniques can evolve from just a little bit of training in behavioral selling. Indexing the behaviors and attitudes of potential candidates for sales employees will help you save time and reduce turnover within the preliminary hiring process. A great tool for predictive hiring is the 2D assessment by PeopleKeys that combines the power of DISC with the Behavioral Attitudes Index report. The Behavioral Attitude Index will help you to better identify the underlying passions, motivations, and interests of an individual for a particular environment. The Behavioral Attitudes Index (BAI) is particularly effective for scouting out top performers with high economic motivators in a commission-based sales environment. When engaged in the hiring cycle, pay attention to those candidates who actively listen to both the verbal cues and non-verbal cues of the speaker – whether it’s you or someone else on the hiring team. These people, no matter which DISC traits they seem to possess, are intent on the details and will most effectively identify sales strategies based on their clients’ immediate goals and objectives. By identifying those candidates, who are able to identify the personality traits of others, you have just found yourself a potential team of powerhouse players within the sales force. These people not only tend to be leaders, but they are capable of strengthening the team from within and empowering others to adapt to the personality types of their clients, as well, therefore affecting the bottom line in a positive manner. When you have a client who believes “Wow, this guy really gets me,” you know you have a client for life. Being able to hire those who can easily adjust selling styles based on personality traits will guarantee your position within the market for long periods of time. Hiring candidates who can blend into any environment will signal their abilities to work with other personalities within the sales team. Recognizing your customers’ personality traits will allow your teams to evolve, based on what they value the most. Pairing members of the sales force to develop tools based on those personality types will further allow your brand to succeed. Customers feel more appreciated through a targeted approach. They become loyal to your brand. They learn to trust your brand. They become evangelists and unofficial ambassadors to your brand, referring others to the great products and/or services that they have used. Upsells will be easier, and your sales force will have an easier shot at hacking their personalities for additional sales over time. Again, it all starts with the right candidate. It improves with development, and the numbers won’t lie! You can learn more about using DISC for talent acquisition, here.